Want to spice up those baby back ribs?!?! Well try your ribs with Gochujong BBQ sauce! I have smoked ribs for years always using the 3-2-1 method. 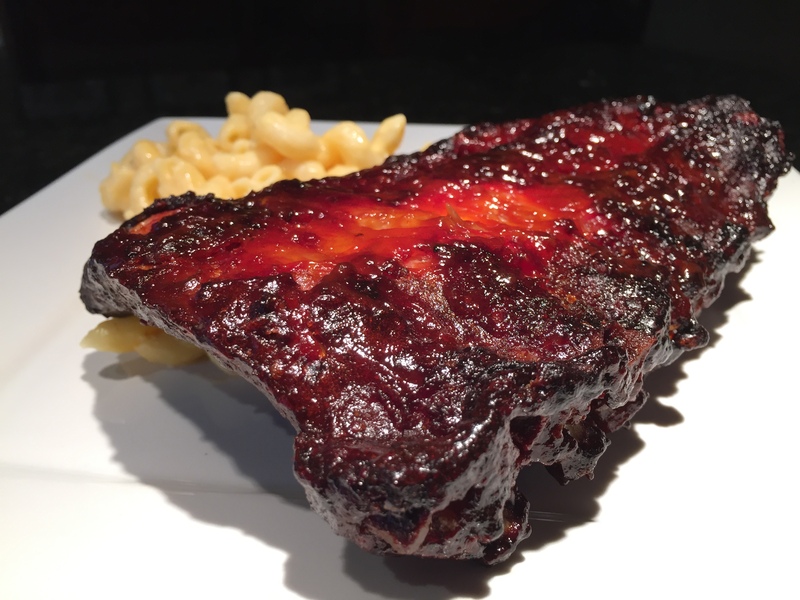 They always turn out great so I haven’t had the motivation to change… that is until I read a post from Kamado Jim about his Damn Simple, Damn Delicious pork spare ribs recipe. I took his lead and modified the rub and BBQ sauce a bit to give this an Asian twist. I cover my ribs with French’s mustard first then put the rub all over them. I used Honey Hog BBQ rub from Meat Church to get that perfect crust on my Baby Back Ribs! Go to a Korean grocery store and pick up some Gochujong paste. This stuff is great and adds so much to your BBQ experience. This spicy Korean pepper paste is delicious! Fire up the BGE with lots of hickory to get the environment just right. Hickory Smoke billowing out of the egg. After 3 hours check on the ribs and see how they are doing. Take the Korean BBQ sauce you made earlier and baste the ribs before putting them back in for another 1 – 2 hours. Baste the ribs with the BBQ sauce. Asian twist on these smoked baby back ribs! Inspiration drawn from Kamado Jim!